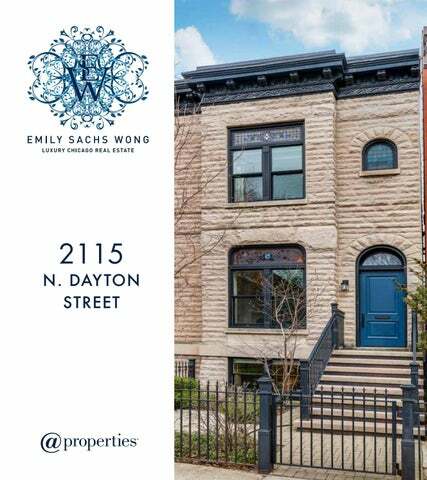 2115 N ORT H DAY TON S TR EET This gorgeous Greystone row home sits in the heart of a fabulous Lincoln Park block. Completely renovated in 2009 with no detail missed and with outstanding original features that have been preserved. The main level has great living spaces, with a formal living room with original leaded glass windows and a formal dining room. There is a newly updated all-white kitchen with great storage. The kitchen has a Viking stove, a SubZero refrigerator, an eat-in breakfast bar, subway tile backsplash and floor-to-ceiling cabinetry spanning the entire length of the kitchen. The great room is adjacent to the kitchen and has a big mud room and walks out to the yard. On the top floor, one will find the master suite and two additional bedrooms. The master suite has great natural light, an original fireplace, two custom built-in wardrobes, and a walk-in-closet. The master bath has dual vanities, ample cabinet space and a glass surround shower. The lower level offers radiant heated polished concrete floors, a fourth bedroom, an office, a recreation room, a full bath, and the laundry room. This home also has a turf yard, two car garage, and garage roof deck! Utility Costs: Mobility Score:81 - Excellent Mobility! 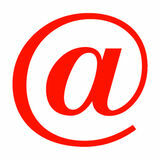 Copyright 2019 MRED LLC - The accuracy of all information, regardless of source, including but not limited to square footages and lot sizes, is deemed reliable but not guaranteed and should be personally verified through personal inspection by and/or with the appropriate professionals. NOTICE: Many homes contain recording devices, and buyers should be aware that they may be recorded during a showing. LINCOLN PARK Lincoln Park residents have it all – from the arts to its famed zoo – right in their backyard. The neighborhood includes quiet tree-lined residential blocks, top-rated schools, DePaul University and two major museums in addition to the Lincoln Park Zoo, one of the country’s oldest zoos. There’s also a wide array of entertainment, eateries and hotspots. An evening in Lincoln Park might include seeing a play at the acclaimed Steppenwolf Theatre and dining at a Michelin-rated restaurant or a quaint neighborhood café. Sports fans will find as many dive bars with the game on as foodies will find fine-dining restaurants with al-fresco seating. Lincoln Park is just as delightful by day. Residents are just a walk, jog or bike ride away from the lakefront and North Avenue Beach; parks; farmers’ markets; festivals; and countless shops, ranging from upscale boutiques on Armitage to larger retailers at the Clybourn Corridor. Smaller townhomes and vintage condominiums offer homebuyers a more affordable entry into Lincoln Park, while prices rapidly escalate for rehabs and new construction. Buyers around DePaul University can find loft condominiums in converted factories and warehouses. On its eastern edge, Lincoln Park features beautiful vintage brownstones along with high-rises with breathtaking views. Located just two miles from downtown, Lincoln Park offers residents a quick commute to work. Public transportation abounds, with the CTA’s Brown and Red lines serving the neighborhood in addition to several bus routes and Lake Shore Drive.